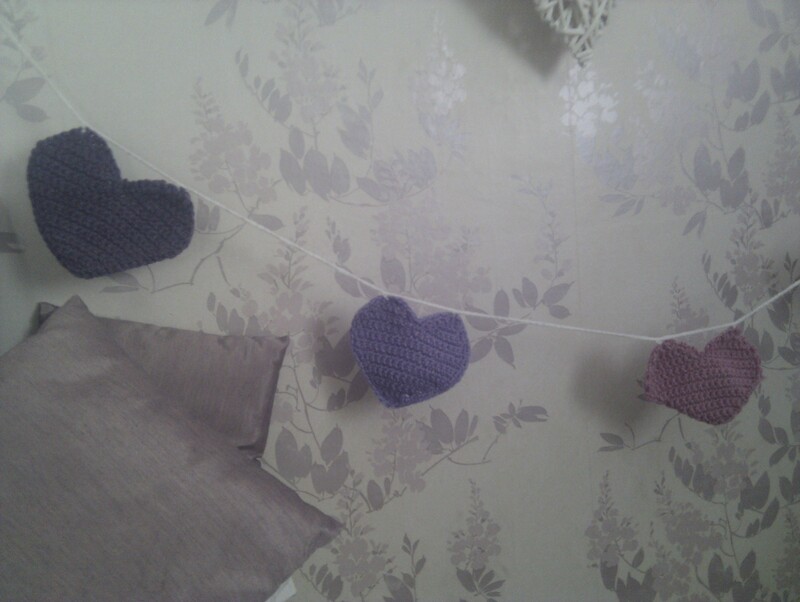 Using a fairly standard pattern (many patterns start from the bottom and work up into the point like this one, others work into the ring) I have made 6 hearts in varying colours to match a pink sweetheart theme and teamed them with a white crochet rope. They would look beautiful in a little girls bedroom! As per ThreadCetera ways, I found this project a really good way of using wool ends of various colours I appear to have been hogging. 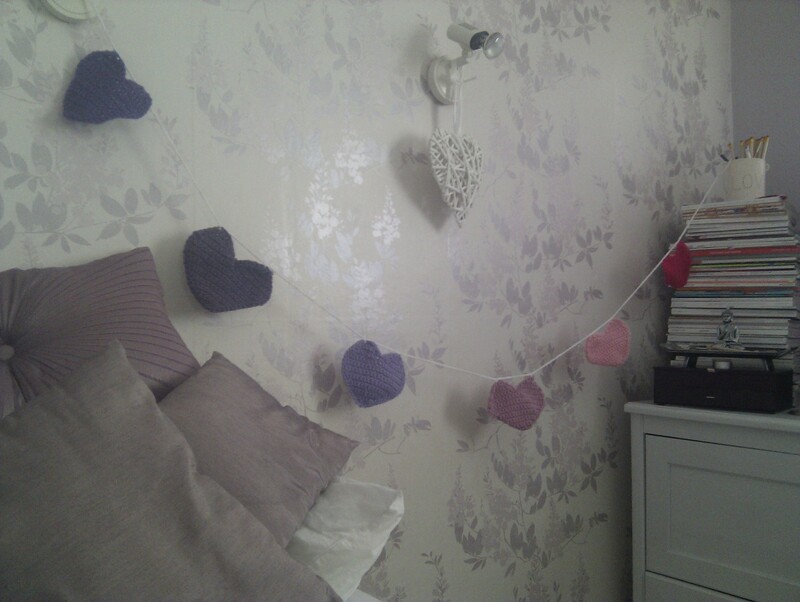 I’ve used various baby knitting wools, chunky and double knits in order to add to the shabby chic effect. This item is now available on the etsy store to ship immediately!